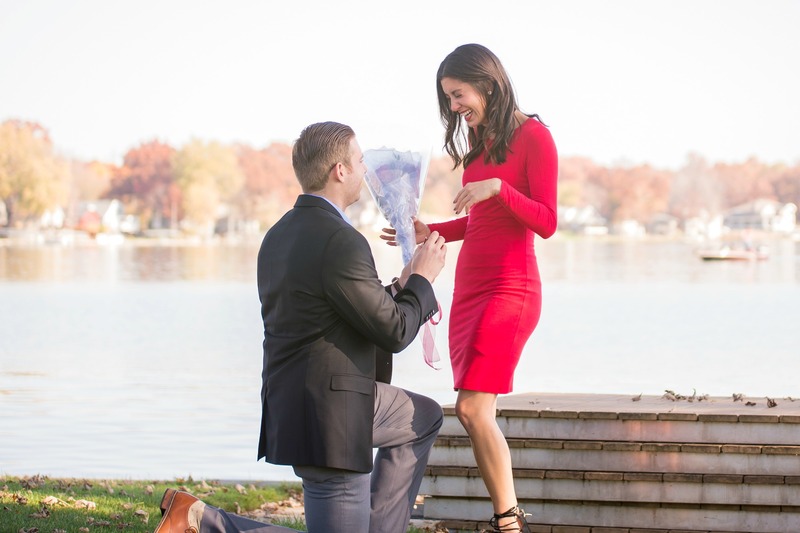 Unbeknownst to me, Alex had been working with my parents and asked them to stage a Christmas card photo shoot at my lake house – it was the perfect plan to get me dressed up and to have a professional photographer there to capture the moment. So, when my mom suggested that we take our Christmas photos at the lake, I said “yes” and didn’t think twice. In Elkhart, Indiana, on the morning of November 6, 2016, I got ready for the photo shoot with my parents and my sister, Angela. By afternoon, the photographer had arrived and we all went down by the water to take our photos. We brought our portable speaker with us, so we could listen to music during the shoot. We had been taking photos for 15 minutes when the rock music changed and Bruno Mars “Marry You” began to fill the air. 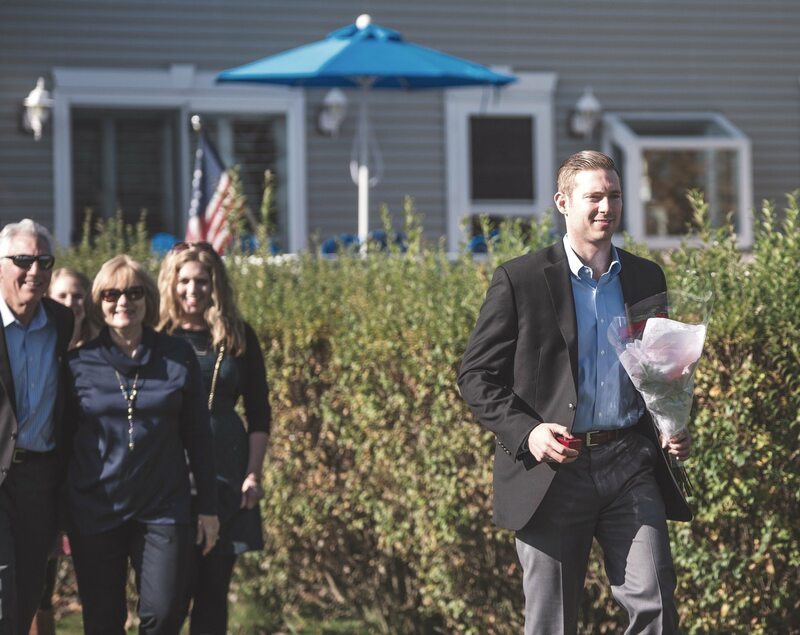 Before I could even comprehend what was happening, Alex suddenly appeared from behind the house and was walking towards me, carrying a bouquet of roses, with his entire family behind him. I immediately realized what was happening and could not control my emotions. What started out as a family photo shoot ended up being the best day of my life. 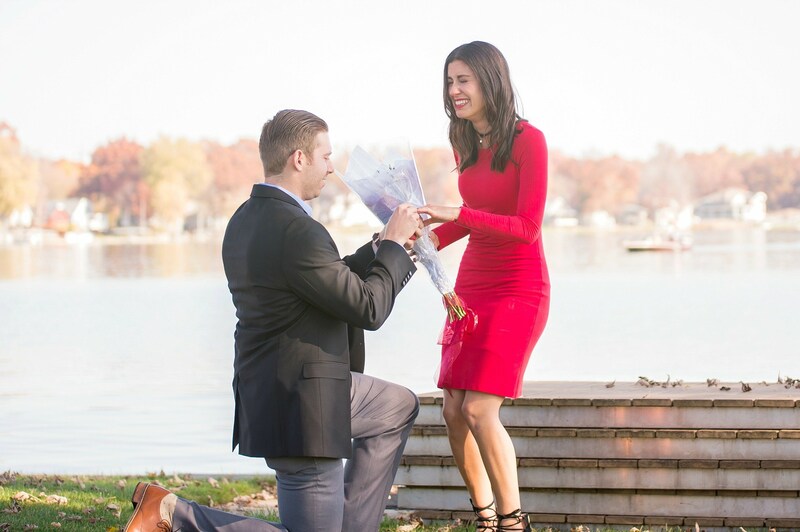 One of the best engagement stories I’ve ever heard! So cute and thoughtful. Love this story! You can see the genuine joy and surprise on Gina’s face. So cute. Such a cute story! Love the photos! Aww how fun! Love how this plan included getting great photos to have forever. Ohhh, this is so romantic. Your partner has a romantic soul. :-)) I am sure you will have an amazing life together.